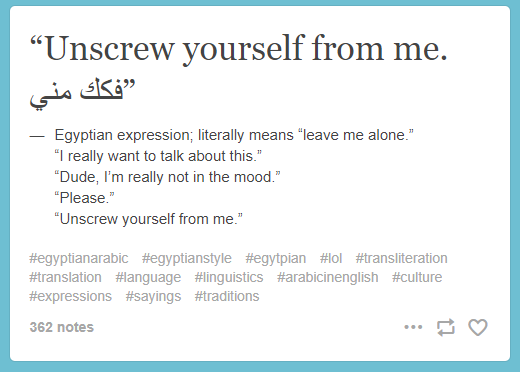 A compilation of Egyptian expressions translated into English is going extremely viral across Facebook and other social media platforms, and it’s the funniest thing you’ll see today! 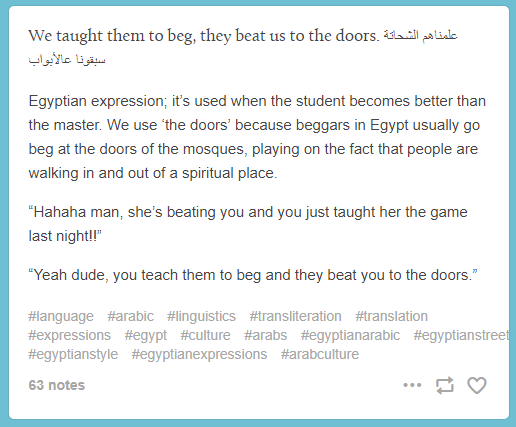 The compilation was made by Ahmed Farouk, who stumbled upon Roogie Ayman‘s Tumblr Blog “Arabic in English”. 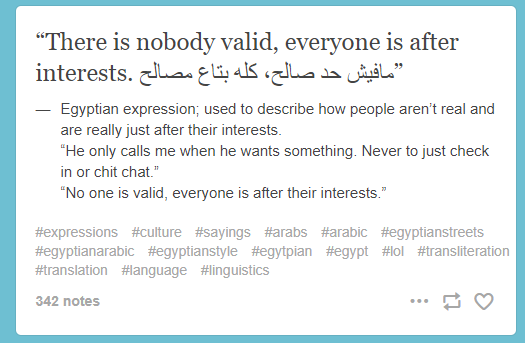 “Arabic in English” is the name of a Tumblr blog that translates some of the funniest Egyptian expressions into English. 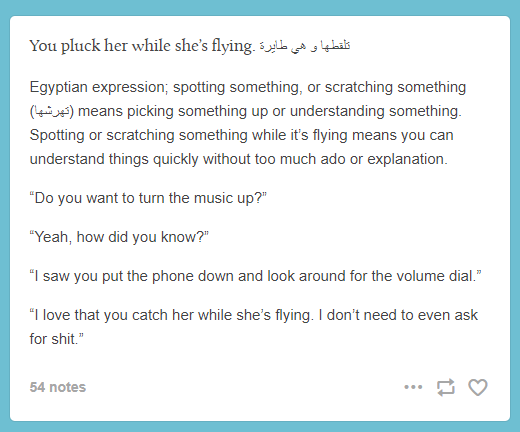 The writer translates the expressions and gives a super funny example to put it into context. Screenshots from the blog are now flooding all of our timelines and it’s just hilarious! 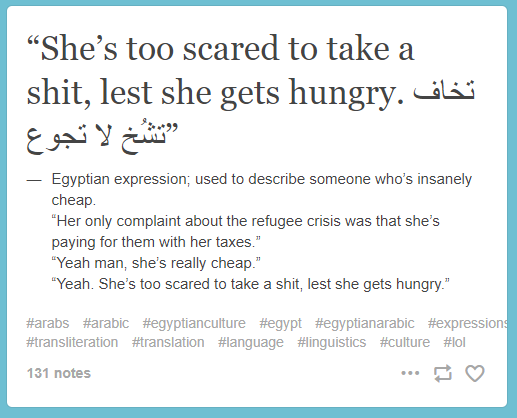 Here are some of the translated Egyptian expressions. 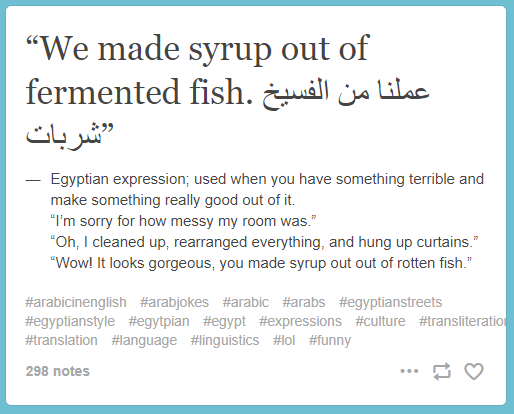 WE SAID THIS: Check out the blog and let us know which Egyptian expressions you’d like to see translated into English!